Rich in composite sporting goods history, Combat Sports (and its affiliated companies) have been designing and manufacturing composite and hybrid-composite baseball bats and hockey sticks for brand name companies since 1994. Terry Sutherland (founder and co-owner of Combat Sports) was a VP of General Electric – Canada, in charge of the company’s materials and technology division. After leading a management buyout of GE’s Canadian composite division (FRE Composites) in 1988, Terry and his team went on to design and manufacture products for NASA, the US military as well as several high end industrial products used in various applications such as the construction of the English Channel. It was only fitting that when the hockey industry wanted to introduce a new, revolutionary hockey stick product made from composite materials that they would turn to Terry Sutherland. In late 1992, Canstar Sports, a holding company for many of hockey’s greatest brands (including Bauer, D’aoust, Micron, Lange and Cooper) approached Terry to produce the worlds first ever composite hockey shaft (up until this point, aluminum was the most advanced material used in hockey shafts). With a passion for the game that started with his father who was a member of the NY Rovers during the 1940’s, Terry quickly took an interest in the project. Later that year, Terry and Canstar reached an agreement to start a joint venture company, which acted as the design and manufacturing arm for all Bauer Hockey composite products. In 1993, Canstar Composites Technology Inc., (CCTI) was born, which marked the beginning of a company that would change the hockey and baseball industry forever. By late 1994, the world’s first commercially successful composite shaft hit the market, under the Bauer name, designed and manufactured in Ottawa, Ontario by CCTI. Terry quickly hired Stephen Fitzgerald (Combat’s current VP – Engineering), Frédéric St. Laurent (Combat’s current VP - Development), Kurtis Watson (Combat’s current VP - Manufacturing), and Steven Sutherland (Combat’s current President). From 1994 to 1997, CCTI designed the most advanced hockey sticks ever to hit the ice, producing over a million units under the Bauer brand, including pro product for their fleet of NHL players (Pavel Bure, Scott Stevens, Trevor Linden to name a few). In 1997, Nike, the world’s largest footwear company, purchased Canstar Sports and its affiliated brands. Consistent with the Nike philosophy regarding North American manufacturing, they quickly began to shut down all North American manufacturing, moving production to China. This would not deter CCTI, as Terry and his ownership group would reach an agreement with Nike to purchase the Joint Venture Company outright, making it a stand alone company and positioning it to now supply to all major brands in the industry. At that point, the company changed its name to CE Composites Hockey Inc., (CE Composites). By 1998, CE Composites negotiated supplier agreements with most of the major players in the hockey industry, including Hespeler, Louisville, Sherwood, Mission, and Victoriaville as well as continuing to produce composite sticks for Nike/Bauer. If you wanted to sell a composite hockey product in the 1990’s, you wanted CE Composites making it for you. They were the “who’s who” of design and manufacturing and sought after by all major brands looking to produce composite hockey sticks. CE Composites would continue to produce composite hockey sticks for the better part of the decade, however cost pressures from China and Mexico became greater and greater as the decade neared an end. With the new found growth in the baseball / softball business and the continuing price constraints from Chinese manufacturers in the hockey business, the company would make the decision in 1999 to exit the OEM hockey business to focus on the rapidly growing baseball / softball division. The company would continue to design and manufacture baseball / softball product for many of the industry’s market leaders up until 2004, including Worth, Rawlings, Nike and others. In 2004, K2 Sports, one of the worlds largest sporting goods company acquired Worth and Rawlings, CE Composites two largest customers. Faced with the possibility of once again losing its main customers to offshore, lower cost manufacturing, CE Composites made a company altering decision: to create a unique identity, one focused on a true players’ product lineup under their own brand and Combat Sports was born. Fairweather Sports (led by Don Cooper, Combat’s current VP of Sales and Marketing) was quickly retained as Combat’s exclusive USA distributor bringing needed baseball and softball marketing expertise into the mix. During this same time period, Steven Sutherland started a side project to pursue a life long passion: to build a new type of hockey company, with a philosophy built on superior service, advanced materials technology, and superior products designed “For Players, By Players”. Ballistik Hockey was born in 2002 and would quickly become a viable business, carving a niche amongst elite level players all over the world. Today, they have grown to over 100 employees and have distribution worldwide; they continue to be the fastest growing brand in the sports of softball, baseball and hockey. * We have the most experienced and talented Engineers who are designing the most cutting edge sporting goods products on the planet. * We are supported by a Sales and Marketing team that are players, fans, warriors and most of all, passionate about what we do. * We will outwork all of our competitors. * We will compete harder than all of our competitors. 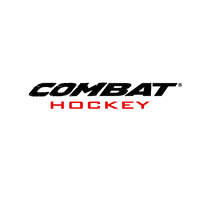 Combat Hockey Pants - A trusted hockey pant brand for European leagues, the Olympics and the NHL, we also provide you with a large selection of Combat hockey pants, Combat ice hockey pants and Combat hockey pants equipment for great discounted prices at HockeyPants.com.